Today is the 40th anniversary of the UK's membership of the EU - an anniversary that has so far been celebrated only by the treasonous Lib Dems. There is no mention of the anniversary of Ted Heath's grossest act of treason on the Number 10 website, on the Foreign & Commonwealth Office's "Europe" website ... not even a mention on the EU's website. 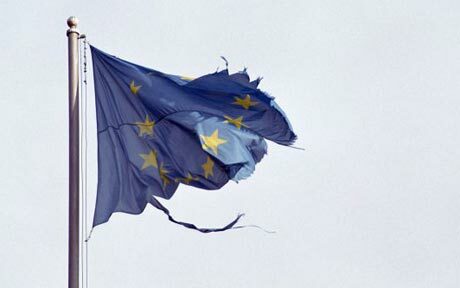 If it wasn't for the almost universal criticism of the EU, lamentation of our membership and discussion of the fraud, corruption and deception that surrounds it most people wouldn't even know there was an anniversary today. The Lib Dems have tried to make something of it of course but frankly nobody pays the slightest bit of attention to what they say any more. Let's mark 40 years of being attacked and pillaged by the EU by replacing the Tories as the second party in the UK.